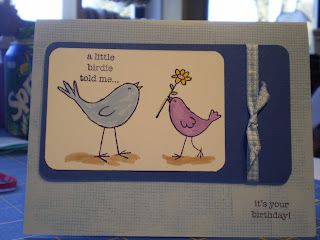 Such a cute card...I love those birdies! So very adorable - and so fitting for those people who only have their birthday every 4 years today! Love the feet on the pink bird! That is the cutest card, Quiltie!